Residential and criminal damage to property and burglary were reported on the 500 block of North Neil Street around 1:30 p.m. Friday. According to the report, a 19-year-old male broke into the victim’s house and stole electronic equipments, including two computers and one television, while the victim was sleeping. The offender has been identified but has not been located. Violation of order protection was reported on the 1000 block of Bloomington Road around 7 p.m. Friday. According to the report, the 35-year-old male called the 30-year-old female victim, which is a violation of the protection order. Retail theft was reported at Target, 2102 N. Prospect Ave., around 10 a.m. Sunday. According to the report, the 47-year-old female passed the last point of sale with a shopping cart filled with unpaid merchandise, including 25 clothing items and several other items. She was arrested on charges of retail theft, drug equipment possession and an in-state warrant. 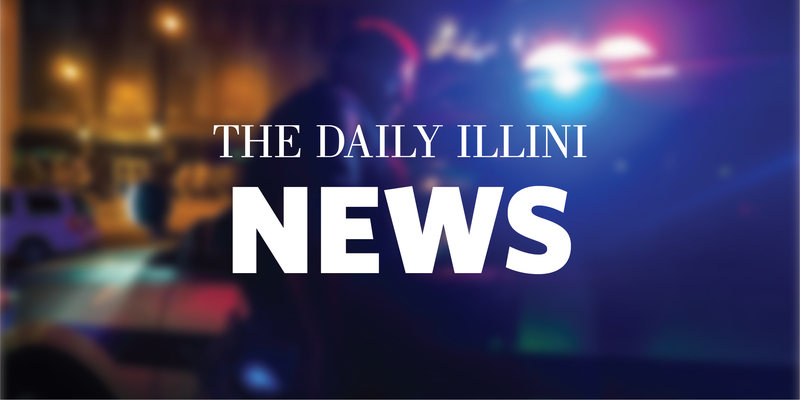 An arrest was made near Harvey Street and Springfield Avenue in Urbana around 3 p.m. Sunday. According to the report, the 19-year-old male was identified as the person who stole a bike from the Electrical and Computer Engineering Building, 306 N. Wright St., minutes earlier. Police stopped the arrestee as he was riding away from the area on the stolen bicycle. An arrest was made near University Avenue and Wright Street around 3 a.m. Saturday. According to the report, the 21-year-old was arrested on charges of drinking under the influence. The arrestee’s vehicle was stopped for driving at night without headlights. During the subsequent search of the vehicle, police found an open container of alcohol and two Xanax pills belonging to a passenger. The 20-year-old female passenger was arrested on charges of illegal transportation of liquor and possession of a controlled substance. Theft was reported at Walgreens, 602 W. University Ave., around noon Friday. According to the report, the 45-year-old male was later arrested on charges of theft of over $500. Credit card fraud was reported at Schnucks, 200 N. Vine St., around 5 p.m. Friday. According to the report, the 21-year-old female victim lost her credit card at an unknown location. The unknown offender found the card and used it at various local businesses. A domestic dispute was reported on the 1600 block of Melrose Park Court around 4:30 p.m. Sunday. According to the report, a 21-year-old male and a 21-year-old female were dating and had a verbal argument. The male left the apartment prior to the police’s arrival.